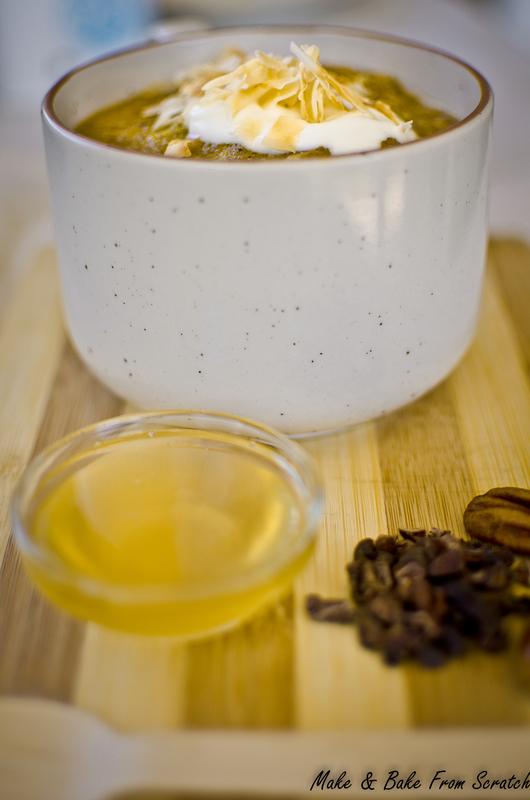 This recipe is a delicious, hearty breakfast recipe or you could consume it whenever you fancy. It was inspired by My New Roots and a dollop of my own tastes. This recipe is gluten free, sugar free and the option of being dairy free. Tailor it to your needs. Amaranth, like Quinoa, is a seed, however often mistaken as a grain. It is nutrient dense. Amaranth is an abundant source of dietary fibre, calcium and minerals such as iron, magnesium, phosphorus, copper and manganese. It is jam-packed with all essential amino acids making it a protein rich seed. Amaranth is a versatile seed and can be consumed in both savoury and sweet dishes. When using amaranth in cooking it is imperative you soak the seed overnight. Amaranth contains an acid called “Phytic Acid”, which basically hinders the absorption of all the goodness present in this little gem. By soaking overnight (minimum 8 hours) in filtered water you reduce the phytic acid level which in return will allow you to absorb all the wonderful enzymes. It is recommended that you soak rice, quinoa, buckwheat, millet even nuts and seeds to receive optimal nutrition. You might consider this time-consuming but always remember a short-term pain is a long-term gain when it comes to your health. 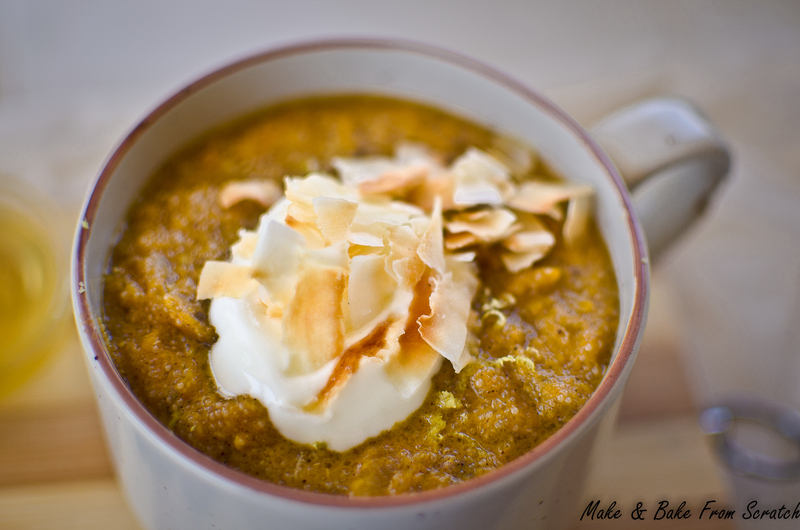 Pumpkin Puree: In a large bowl add pumpkin chunks and olive oil (1-2 tablespoons), ensure that pumpkin is moist. Pop the pumpkin chunks on a flat baking tray and roast at 180 for 40 minutes, they should be soft in the middle. Mash the chunks, viola you have pumpkin puree. Next drain and rinse amaranth using a sieve. 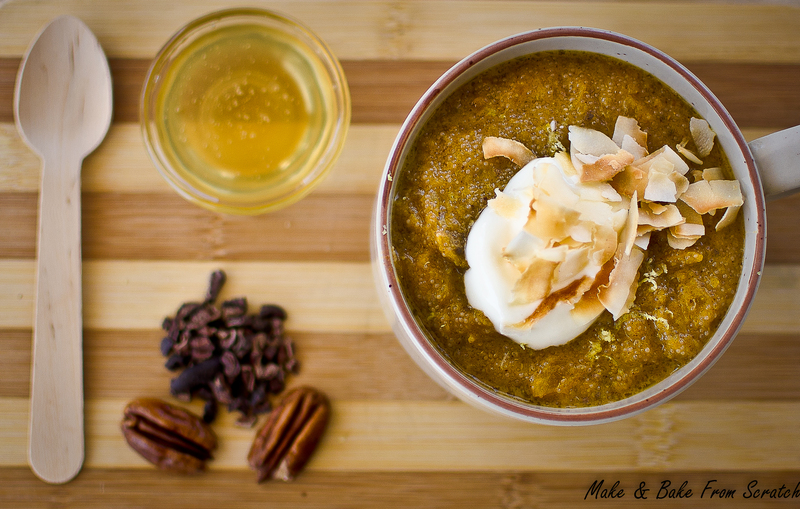 In a saucepan add amaranth, pumpkin puree, coconut cream, spices, coconut butter, rice syrup, zest, chia seeds and salt. On a medium heat cook for 15 minutes, stirring continuously; to ensure porridge does not stick to the bottom of the saucepan. When the amaranth seed becomes clear it is ready for consumption. Allow to cool and consume.